367 results. Displaying results 21 - 40. 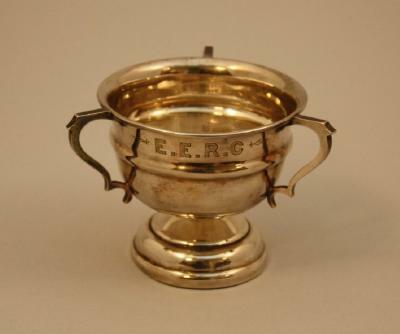 Small silver plated tri-handled cup engraved 'E.E.R.C.' (Eton Excelsior Rowing Club). 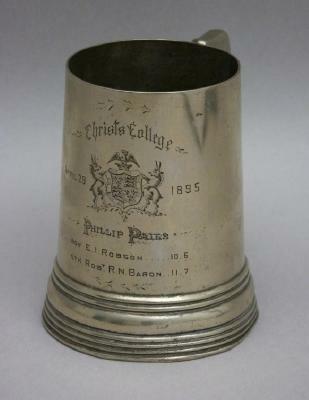 Brass cup won by Christ's College in the Phillip Pairs on April 29th 1895. A brass coated cup with a handle, engraved with names and a crest in the centre. There are four bands around the base and two further bands above. Maker's name engraved on the base. 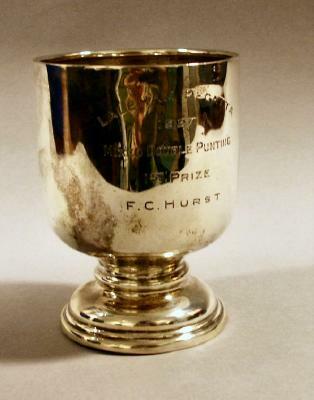 An engraved silver cup awarded as a mixed doubles punting trophy at Laleham Regatta in 1927. 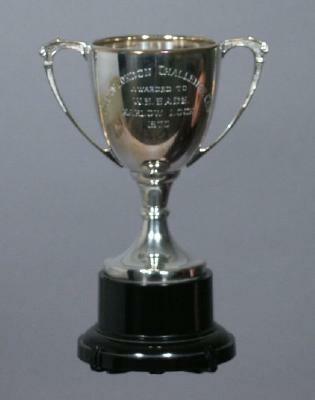 The inscription reads "Laleham Regatta 1927 Mixed Double Punting 1st Prize F C Hurst"
A replica of the City of London Challenge Cup, awarded to W E Eade, Marlow Lock 1970 (awarded anually for lock gardens until the mid 1970s). Two certificates of retirement, framed next to each other- "Conservators of the River Thames", presented to James Walter Eade and William Eric Eade by Thames Water Authority. 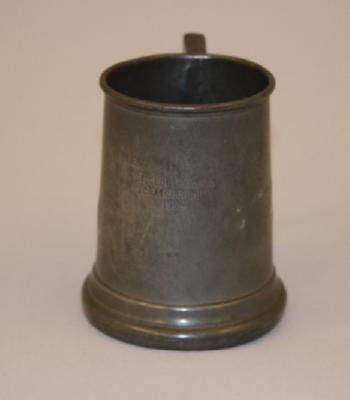 Pewter tankard - 'St Georges L.R.C. Scratch Eights 1952'. Won by Deidre Castleton, member of Weybridge Ladies Amateur Rowing Club. From a collection of items donated by Mrs D Castleton, a former member of Weybridge Ladies Amateur Rowing Club. 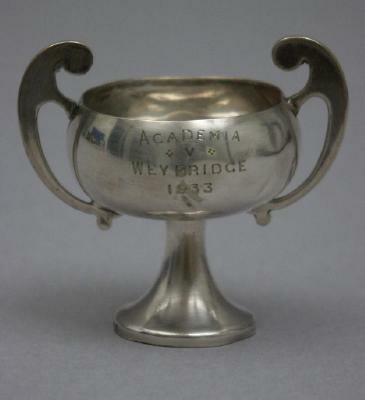 Academia v. Weybridge miniature silver cup presented to Amy Gentry in 1933. 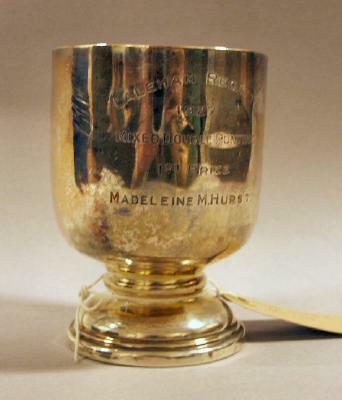 An engraved silver cup awarded as a mixed doubles punting trophy at Laleham Regatta in 1927. 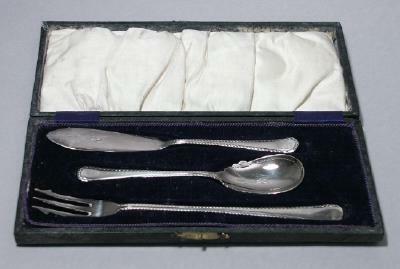 The inscription reads "Laleham Regatta 1927 Mixed Double Punting 1st Prize Madeleine M Hurst"
A boxed cutlery set, a prize won by Amy Gentry at Chertsey Regatta in 1923. 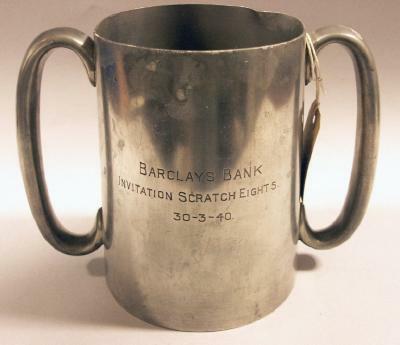 A double-handled pewter tankard awarded as a trophy for the Barclays Bank Invitation Scratch Eights on the 30th March 1970. 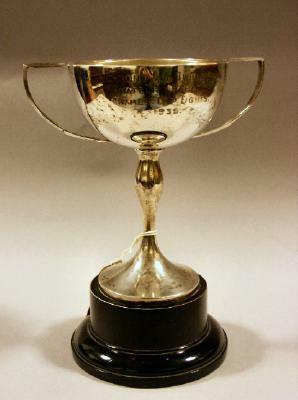 Richmond and Twickenham Amateur Regatta Thames Cup Eights 1935 A silver plated double handled cup on a black wooden base.